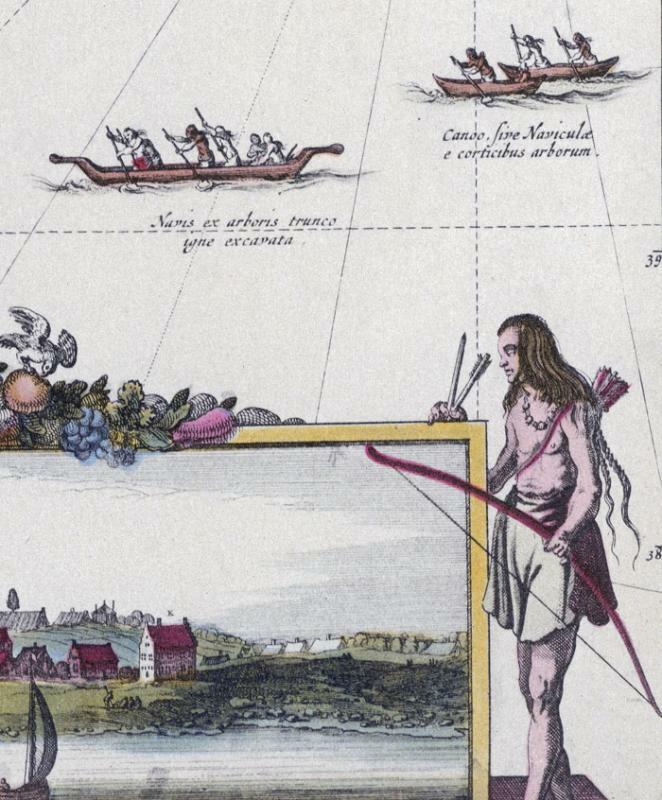 Detail of map, showing Native American and their boats. From VISSCHER, Nicolaas Jansz, Map of New Belgium, New England and Virginia first published in 1655 with editions up to 1727, published in Amsterdam. Like all maps of that era, titles were in Latin. NOVI BELGII / NOVÆQUE ANGLIÆ NEC NON / PARTIS / VIRGINIÆ TABULA / multis in locis emendata a / Nicolao Joannis Visscher.